On 12 June 2014, the VAT Expert Group adopted an Opinion on the definitive VAT regime for the taxation of intra-EU B2B supplies of goods. The Group encourages business to take part in the survey in English or French, German, Italian, Spanish, Polish related to the ongoing study on applying the ‘destination principle’ to intra-EU B2B supplies of goods. On 5 June 2014, a call for applications for the selection of members of the VAT Expert group was published. Applications must be sent by 18 July 2014 at the latest. 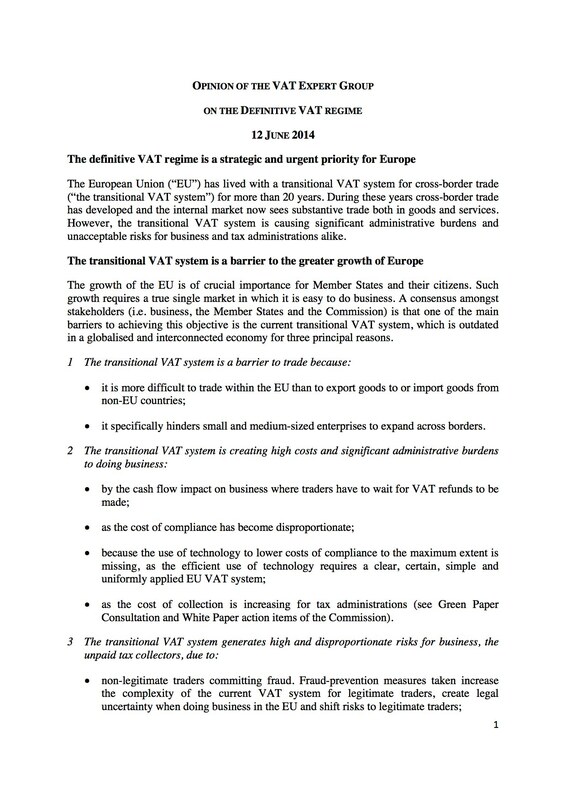 via VAT Expert Group - European Commission.